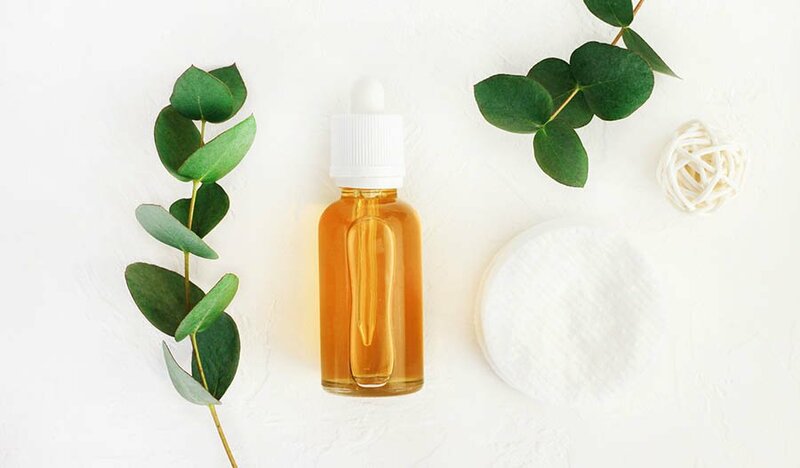 Homemade facials can help revitalize and refresh all types of skin whether someone is suffering from dryness or blemishes. Check out these three great homemade facial treatments. Use them sequentially for an at-home spa day experience, or individually for a quick self-care session. Facial steams are certainly relaxing, but they also have many skincare benefits. These easy at-home treatments calm and soothe the skin. When the skin is exposed to steam, the surface softens. Dirt and bacteria are drawn to the surface, which makes it easier to cleanse and treat blemish-prone skin. In spas, estheticians often steam the skin before doing extractions as steam makes it easier to remove unwanted buildup from the pores. Facial steams aren't just beneficial for acne-prone skin; they're also a great treatment for dry skin. Steam makes the skin more permeable and more absorbent. After the steam, when moisturizers are applied, the skin will absorb the hydrating ingredients more readily. This helps improve damaged moisture barriers and revive tired skin. Steam treatments also have a physiological impact on the facial skin. During a facial steam, the skin's blood vessels dilate, which boosts blood flow to the face. Without adequate blood flow, the skin doesn't receive enough oxygen. This can leave the complexion looking dull and lifeless. After a few facial steams, the skin will start looking healthier. Users may even notice a youthful glow. Anyone can use a range of herbs and oils to make a homemade facial steam. Frankincense and sage are excellent choices as both ingredients have tangible skin care benefits. Frankincense is extracted from trees native to India, and it's known for its anti-inflammatory properties. When used in skin care, it may help improve elasticity and minimize blemishes. Sage may have anti-aging properties. This soothing herb helps minimize redness and improve blood circulation. This facial steam can leave skin looking vibrant and healthy. Try to steam the face several times a week to soothe tired, damaged skin. Boil a pot of water and pour the water into a large, heat-safe bowl. Add sage leaves to the water. Stir the mixture and allow it to sit for a few minutes so that the herbs have time to steep. Add a few drops of frankincense essential oil. Sit in front of the bowl and place a towel over the head and the bowl. This traps the facial steam, allowing it to penetrate the skin. Stay in this position for five to 10 minutes. After the steam, pat the face dry with a clean towel. Apply a moisturizer to lock in hydration. 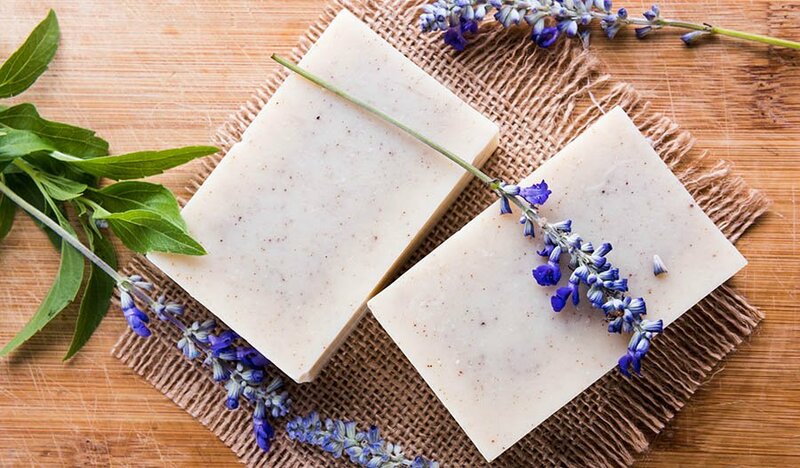 A homemade facial scrub that combines yogurt, oatmeal, sage and cucumber will simultaneously moisturize and exfoliate the skin. Each ingredient has potent restorative benefits. Oatmeal is known for its anti-inflammatory properties. It's often used as a treatment for itchy, eczema-prone skin as it helps regulate inflammation and redness. Because of the texture of oats, however, they can also be used as a scrub. For people with sensitive, dry skin, oats are an excellent substitute for harsher physical exfoliants. They help remove dead skin cells while simultaneously hydrating irritable skin. Yogurt doesn't have the physical exfoliating properties of oatmeal. It contains lactic acid, which is a key chemical exfoliant. This means that it dissolves the skin cells through a chemical process rather than abrasion. Lactic acid is one of the gentlest chemical exfoliants, which means it's not too harsh for dry skin. Lactic acid may help treat breakouts and diminish the signs of aging, making it an ideal choice for people of all skin types. If someone is looking to fight off inflammation, cucumber may be just what they're looking for. This tasty vegetable has many skin care benefits as it’s a potent source of vitamin C, caffeic acid and silica. Cucumber puree may help firm sagging skin, hydrate dry skin and reduce redness in irritated skin. Facial scrubs are a great way to exfoliate the skin. They get rid of the dead, damaged skin cells on the outermost layer of the skin, revealing the taut, unblemished skin beneath. When doing scrubs, however, people have to be careful; if the scrub is too abrasive, it can be damaging rather than restorative. 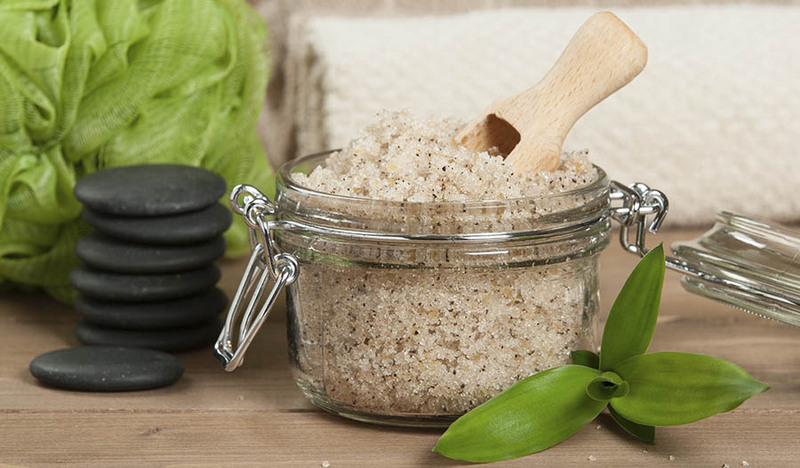 This cucumber facial scrub is the perfect combination of soothing and exfoliating. Combine 2 Tbs. each of yogurt, pureed cucumber and oatmeal. Make sure the yogurt is plain; sugared yogurt doesn't have the same skin benefits. Stir in 1 tsp. of sage, finely chopped. If the sage leaves are too large, they will be unable to penetrate the skin. Sage oil is also effective. Once the mixture is combined, massage it into the skin with the tips of the fingers. This motion helps improve circulation and blood flow, and it sloughs off the dead skin cells. After five minutes of facial massaging, gently remove the scrub with lukewarm water and a washcloth. This scrub can also work as a mask. If someone would like to reap the full benefits of these ingredients, they should leave the mixture on for 15 minutes after massaging it into the skin. As explained above, cucumbers have wonderful moisturizing and anti-aging properties. This is due to the antioxidants caffeic acid and vitamin C, which help reduce skin damage caused by aging and sun damage. While cucumber puree is a wonderful addition to a facial scrub, it has more time to penetrate the skin when used as a mask. Leave this mask on for 15 minutes for smooth, healthy and fully moisturized skin. Coconut oil and carrot seed oil add even more hydrating power to this effective DIY facial mask. Coconut oil is rich in fatty acids, which are also found in the structure of the skin. By applying fatty acids to the skin, it helps restore the skin's surface, leaving it looking smoother and healthier. Coconut oil contains antioxidants as well, which help improve the skin's texture. Carrot seed oil is an excellent skin-protecting agent, and it contains bioflavonoids and antioxidants. It may help kill bacteria and fungi, which makes it a good choice for people battling blemishes. It also has hydrating powers. When combined with cucumber puree and coconut oil, it creates a hydrating, blemish-blasting mask that improves the texture of the skin. Cucumber is a popular ingredient for at-home skin care masks thanks to its many skin-invigorating properties. Anyone can try this effective cucumber mask, which combines the anti-inflammatory powers of cucumber with the hydrating powers of oils. Puree one cucumber. Add two Tbs. coconut oil and 1 tsp. of carrot seed oil. Mix the ingredients until it forms a smooth, paste-like texture. Coat the face and neck with the mixture. Leave on for 15 minutes and then gently rinse off.